Body Oils: Life Flo, Weleda, Aura Cacia, J.R. Watkins, Lotus Aroma! Dry Oil Body Spritzer: Feel pure luxury with the fast-absorbing, non-greasy Dry Oil Body Spritzer. Supplement ultimate moisturization to your skin with Coconut, Pomegranate, Apricot Kernel and Olive Oils, and arouse your senses with the refreshingly natural fragrances. Make this part of your morning routine and enjoy smooth, supple, lightly perfumed skin throughout the day. • Dry Oil Body Spritzer Lavender Chamomile: Lavender's calming qualities are supplemented by the soothing aroma of Chamomile, helping to provide a high state of serenety for the mind and body. This perfume helps to relax, de-stress, and relieve tension. 6 oz. ORDER TODAY! Ingredients: Organic Aloe Barbadensis (Aloe Vera) Leaf Juice, Infusion of Organic Herbs; Lavandula Angustifolia (Lavender) Flower Extract, Anthemis Nobilis (Chamomile) Flower Extract, Organic Helianthus Annuus (Sunflower) Seed Oil, Glyceryl Stearate (Vegan), Glycerin (Vegan), Caprylic Acid (Coconut Fatty Acid), Aroma (Organic and Wildcrafted Aroma Blend), Organic Butyrospermum Parkii (Shea) Butter, Tocopherol (Vitamin E) Natural, Olea Europaea (Olive) Fruit Oil, Potassium Sorbate. • Dry Oil Body Spritzer Grapefruit Bergamot: A customer favorite, Grapefruit Bergamot smells so good you could eat it! The light Citrus perfume of fresh Grapefruit, combined with the luxuriant Italian Bergamot, makes this blend a delightful favorite. 6 oz. ORDER TODAY! Ingredients: Organic Aloe Barbadensis (Aloe Vera) Leaf Juice, Infusion of Organic Herbs; Citrus Grandis (Grapefruit) Extract, Citrus Bergamia (Bergamot) Fruit Extract, Citrus Aurantium Dulcis (Orange) Fruit Extract, Organic Helianthus Annuus (Sunflower) Seed Oil, Glyceryl Stearate (Vegan), Glycerin (Vegan), Caprylic Acid (Coconut Fatty Acid), Aroma (Organic and Wildcrafted Aroma Blend), Organic Butyrospermum Parkii (Shea) Butter, Tocopherol (Vitamin E) Natural, Organic Theobroma Cacao (Cocoa) Seed Butter, Organic Simmondsia Chinensis (Jojoba) Seed Oil, Retinyl Palmitate (Vitamin A), Xanthan Gum, Potassium Sorbate. • Dry Oil Body Spritzer Rosemary Mint: made with Rosemary and Peppermint to help reinvigorate the skin and rekindle the senses, offering deep stress relief for the mind and body. Strong yet delicate, Rosemary Mint is the ideal perfume of clean. 6 oz. ORDER TODAY! Ingredients: Organic Aloe Barbadensis (Aloe Vera) Leaf Juice, Infusion of Organic Herbs; Rosmarinus Officinalis (Rosemary) Leaf Extract, Geranium Maculatum (Geranium) Flower Extract, Mentha Piperita (Peppermint) Leaf Extract, Organic Helianthus Annuus (Sunflower) Seed Oil, Glyceryl Stearate (Vegan), Glycerin (Vegan), Caprylic Acid (Coconut Fatty Acid), Aroma (Organic and Wildcrafted Aroma Blend), Organic Butyrospermum Parkii (Shea) Butter, Tocopherol (Vitamin E) Natural, Organic Theobroma Cacao (Cocoa) Seed Butter, Organic Simmondsia Chinensis (Jojoba) Seed Oil, Retinyl Palmitate (Vitamin A), Xanthan Gum, Potassium Sorbate. • Dry Oil Body Spritzer Brown Sugar Vanilla: Experience the warmth and sensuality as you treat yourself to some relaxed time. Start with top notes of ripe Fig, Muguet and a medley of fresh, juicy fruit, including Nectarine - this sweet perfume features hints of creamy Coconut Milk, Amber, caramelized Brown Sugar and Vanilla Bean, all blended on a base of soft refined musk. 6 oz. ORDER TODAY! Ingredients: Organic Aloe Barbadensis (Aloe Vera) Leaf Juice, Sucrose (Sugar) Extract, Vanilla Planifolia Fruit Extract, Organic Helianthus Annuus (Sunflower) Seed Oil, Glyceryl Stearate (Vegan), Glycerin (Vegan), Caprylic Acid (Coconut Fatty Acid), Aroma (Organic and Wildcrafted Aroma Blend), Organic Butyrospermum Parkii (Shea Butter), Tocopherol (Vitamin E) Natural, Organic Theobroma Cacao (Cocoa) Seed Butter, Organic Simmondsia Chinensis (Jojoba) Seed Oil, Retinyl Palmitate (Vitamin A), Xanthan Gum, Potassium Sorbate. • Dry Oil Body Spritzer Passion Fruit Guava: A super blast of exotic Passion Fruit and Guava is supplemented with Orange, Mango, and Papaya to elevate your personal care routine. Creamy Shea and Cocoa Butter move into the background as naturally sweet Vanilla, a dash of Cassis, and a touch of Citrus mildly capture this revitalizing and comforting perfume. 6 oz. ORDER TODAY! Ingredients: Organic Aloe Barbadensis (Aloe Vera) Leaf Juice, Passiflora Laurifolia (Passion) Fruit Extract, Psidium Guajava (Guava) Fruit Extract, Organic Helianthus Annuus (Sunflower) Seed Oil, Glyceryl Stearate (Vegan), Glycerin (Vegan), Caprylic Acid (Coconut Fatty Acid), Aroma (Organic and Wildcrafted Aroma Blend), Organic Butyrospermum Parkii (Shea Butter), Tocopherol (Vitamin E) Natural, Organic Theobroma Cacao (Cocoa) Seed Butter, Organic Simmondsia Chinensis (Jojoba) Seed Oil, Retinyl Palmitate (Vitamin A), Xanthan Gum, Potassium Sorbate. BODY LOTION: Dry Oil Body Spritzer, 4 oz. • Wild Rose Body Oil: For a luxurious treat, look no further than Weleda's award winning Wild Rose Body Oil. Ingredients include precious rosa mosqueta, chosen for its soothing qualities and exquisite fragrance, and oils of jojoba and sweet almond with their deeply moisturizing qualities. Apply it, and let your skin glow! 3.4 oz. ORDER TODAY! Ingredients: Jojoba (Buxus Chinensis) Oil, Sweet Almond (Prunus Dulcis) Oil, Musk Rose (Rosa Moschata) Oil, Rose (Rosa Centifolia) Oil, Fragrance (Parfum). • Arnica Body & Massage Oil: One of our most popular products, and is also the preferred choice of thousands of massage therapists worldwide. However, it is not just for massage, and anyone can treat aching muscles with the soothing properties of arnica and birch leaves and enjoy the warming olive oil base. 3.4 oz. ORDER TODAY! INGREDIENTS: Peanut Oil, Olive Oil, Arnica Flower, Birch Leaf, Rosemary Oil, Lavender Oil. 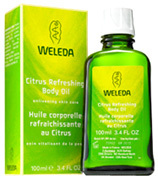 • Citrus Body Oil: A sure to delight those looking for a lighter massage oil or a body moisturizer. Your skin will love the soothing and toning qualities of chamomile and calendula, and the oil's silky consistency and citrus aroma will pamper and refresh. Moisturizes the skin and protects it from dryness. Enjoy a refreshing light massage with Citrus Body Oil. Apply to moist skin immediately after bath or shower. It is quickly absorbed and leaves no oily residue. 4 oz. ORDER TODAY! Ingredients: Sweet almond oil , Grain Alcohol , Lemon , Natural essential oils. • Lavender Body Oil: Helps soften and moisturize the skin with soothing and calming oils of sweet almond, sesame, and lavender, a gentle massage with this delicate oil leaves the skin feeling soft while the aromatic scent of french lavender helps you to unwind. Ideal for daily body care, best used after a bath or shower, when applied before bedtime, Weleda Lavender Body Oil has a relaxing and calming effect. 4 oz. ORDER TODAY! • Birch Cellulite Oil: Beautifying and refreshing skin care. Visibly improves the skin's texture and smoothness after just one month of regular use. Young, organic Birch Leaves, organic Rosemary and Ruskus supports the skin's tone and overall health. Revitalizing Apricot Kernel Oil, moisturizing organic Jojoba Oil and vitamin-rich Wheatgerm Oil help to enliven the skin's appearance. 3.4 oz. ORDER TODAY! Ingredients: Prunus Armeniaca (Apricot) Kernel Oil, organic Simmondsia Chinensis (Jojoba) Seed Oil, Triticum Vulgare (Wheat) Germ Oil, Fragrance (Parfum from natural essential oils), Limonene, Linalool, Geraniol, Citral, organic Betula Alba (Birch) Leaf Extract, Ruscus Aculeatus Root Extract, Rosmarinus Officinalis (Rosemary) Leaf Extract. • Sea Buckthorn Body Oil: Replenishing intensive skin care. Beneficial after sun exposure. Organic Sea Buckthorn Oil nourishes the skin with essential fatty acids and Vitamins A, C & E. The fresh and fruity scents of organic Orange Oil and transitional organic Grapefruit Oil enliven the senses. 3.4 oz. ORDER TODAY! Ingredients: Sesamum Indicum (Sesame) Seed Oil, Hippophae Rhamnoides (Sea Buckthorn)Pulp and Seed Oil, Fragrance (Parfum from natural essential oils), Limonene, Linalool, Benzyl Alcohol, Geraniol, Citral. • Evening Primrose Age Revitalizing Body Oil: Evening Primrose Body Oil helps supports skin's moisture-retaining abilities. It infuses fast and deeply into skin to invigorate its appearance and encourage glow with potent natural ingredients. Made with Evening Primrose Seed oil, Olive oil, Wheat Germ oil, Sea Buckthorn and Jojoba Seed oil to provide essential fatty acids and omegas 3, 6, 7 and 9 for skin reconditioning and hydration. Its rich, velvety texture delivers a nurturing treatment that leaves skin healthy, supple and replenished. Applied instantly after a bath or shower while skin is still damp, Evening Primrose Body Oil will soak in fast and leave behind a fresh, floral scent of Evening Primrose flowers. 3.4 oz. ORDER TODAY! Ingredients: Simmondsia Chinensis (Jojoba), Sesamum Indicum (Sesame), Helianthus Annuus (Sunflower), Triticum Vulgare (Wheat), Macadamia Ternifolia, Olea Europaea (Olive), Panicum Miliaceum (Millet), Oenothera Biennis (Evening Primrose), Hippophae Rhamnoides (Sea Buckthorn), Fragrance (Parfum), Limonene, Linalool, Benzyl Benzoate, Benzyl Salicylate, Geraniol, Citral, Eugenol, Farnesol. 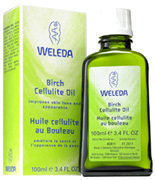 BODY OIL: Birch Cellulite Oil, 3.4 oz. Evening Primrose Age Revitalizing Body Oil, 3.4 oz. 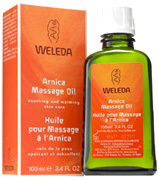 BODY OIL: Arnica Body & Massage Oil, 3.4 oz. • Calendula Baby Oil: Calendula Baby Oil helps provide a healthy balance to your child's delicate. The nourishing blend of organic Calendula and Chamomile flower extract helps comfort and soothes your baby's skin. Nurturing organic sweet almond oil offers essential fatty acids that deeply hydrate, keeping your baby's skin smooth and supple. 6.8 oz. ORDER TODAY! INGREDIENTS Sesamum Indicum (Sesame) Seed Oil, Prunus Amygdalus Dulcis (Sweet Almond) Oil, Calendula Officinalis (Calendula) Flower Extract, Chamomilla Recutita Matricaria (Chamomile) Flower Extract, Fragrance (Parfum), Limonene, Limonene, Linalool, Geraniol, Citral, Citral. • Regenerating Pomegranate Body Oil: Pomegranate Body Oil is a nurturing full-body treatment that normalizes moisture balance and reconditions your natural energy with potent antioxidants and essential fatty acids. Organic Pomegranate seed oil contains powerful antioxidants that help promote skin renewal and protect against free radical damage. Pamper yourself after your shower or bath with our natural oil moisturizer to renew your youthful, full-body radiance. Pomegranate Body Oil lets you experience your body's timeless beauty day after ageless day. 3.4 oz. ORDER TODAY! INGREDIENTS Simmondsia Chinensis (Jojoba) Seed Oil, Sesamum Indicum (Sesame) Seed Oil, Helianthus Annuus (Sunflower) Seed Oil, Triticum Vulgare (Wheat) Germ Oil, Macadamia Ternifolia Seed Oil, Panicum Miliaceum (Millet) Seed Extract, Fragrance (Parfum), Punica Granatum (Pomegranate)Seed Oil, Helianthus Annuus (Sunflower) Petal Extract, Olea Europaea (Olive) Oil Unsaponifiables, Limonene, Linalool, Citronellol, Geraniol, Citral, Eugenol, Coumarin, Farnesol. • Stretch Mark Massage Oil: A base of sweet almond oil in the Stretch Mark Massage Oil works gently, providing deeply hydrating essential fatty acids that keep your skin supple and protected from drying. Regular use helps to correct the appearance of stretch marks on your pregnant belly, your thighs, bottom and breasts, and helps prevent the appearance of new ones. 3.4 oz. ORDER TODAY! INGREDIENTS Prunus Amygdalus Dulcis (Sweet Almond) Oil, Simmondsia Chinensis (Jojoba) Seed Oil, Triticum Vulgare (Wheat) Germ Oil, Fragrance (Parfum), Arnica Montana Extract, Limonene, Linalool, Citronellol, Geraniol, Citral, Eugenol, Farnesol. • Baby Tummy Oil: Natural colic relief formula gently calms your baby with essential oils of Marjoram, Roman Chamomile and Cardamom. Your baby's skin is left soft and supple by a sweet Almond oil base in our Baby Tummy Oil that is easily absorbed. A gentle tummy massage supplements your maternal love with the soothing comfort of the Weleda Baby Tummy Oil. 1.7 oz. ORDER TODAY! INGREDIENTS Prunus Amygdalus Dulcis (Sweet Almond) Oil, Fragrance (Parfum), Limonene, Linalool. • Almond Soothing Facial Oil: Almond Soothing Facial Oil helps bring back skin's healthy balance and hydrates to calm irritated skin. Made with organic Blackthorn flower extract to fortify skin and supports its healthy functions. Blended with organic Sweet Almond oil and Plum Kernel oil to nurture and moisturize with soothing ingredients that help repair skin's natural protective functions. Use nightly or when needed to hydrate and comfort sensitive or reactive skin, leaving it soft, smooth and relaxed as can be. 1.7 oz. ORDER TODAY! INGREDIENTS Prunus Amygdalus Dulcis (Sweet Almond) Oil, Prunus Domestica (Plum) Seed Oil, Prunus Spinosa (Blackthorn) Flower Extract. BODY OIL: Calendula Baby Oil, 6.8 oz. Almond Soothing Facial Oil 1.7 oz. BABY LOTION: Baby Tummy Oil, 1.7 oz. • Pure Argan Oil: Pure Argan Oil is a rich source of Vitamin E and essential fatty acids provides "super food" for the skin and hair. Helps to alleviate dry skin. Traditionally used to stabilize the effects of aging on hair, skin and nails. 1 oz. ORDER TODAY! Ingredients: Argania spinosa (Argan) Oil (99.5%), Tocopherol (Vitamin E)(Antioxidant to preserve the freshness of the oil). • Pure Arnica Oil: Help soothe tired, aching joints with Arnica Oil. Provides a calming effect for people of all ages. Perfect to massage into skin after a vigorous workout or a difficult day. Non-greasy and easy to apply. 2 oz. ORDER TODAY! Ingredients: Extra Virgin Olive Oil (Olea europaea), Arnica Flower (Arnica montana)..
• Pure Avocado Oil: Pure Avocado Oil is a protein-rich moisturizer that is high in Vitamins A, D, and E, Potassium and other minerals that moisturizes skin dry, damaged skin. Easily penetrates and softens even the most dry, damaged skin without leaving a greasy residue. Suitable for dry skin and scalp problems. 16 oz. ORDER TODAY! Ingredients: Persea Gratissima (Avocado) Oil (99.5%), Tocopherol (Vitamin E) (Antioxidant to preserve the freshness of the oil). • Pure Evening Primrose Oil: Pure Evening Primrose Oil is high in essential fatty acids help nurture and protect skin cells. This nutrient-rich oil is calming and moisturizing to dry skin and scalp. Its balmy quality helps leave the skin supple and smooth to touch. 4 oz. ORDER TODAY! • Pure Tamanu Oil: Pure Tamanu Oil helps skin revitalize and restore for smooth blemish-free skin. Helps penetrate quickly and provides soothing comfort and renew to healthy skin. 1 oz. ORDER TODAY! Ingredients: 100% pure organic Tamanu Oil. BODY OIL: Pure Argan Oil, 1 oz. BODY OIL: Pure Arnica Oil, 2 oz. BODY OIL: Pure Oil, 3.4 oz. • Pure Kukui Oil: Pure Kukui Nut Oil helps to protect and soothe gently sun-exposed skin and soothe dry, chapped skin. Gentle enough for a baby, it's easily absorbed without a greasy film and helps provide hydration, conditioning, and healing. It's balmy quality helps leave the skin supple and smooth to touch. Use any time day or evening that skin feels in need of nourishment and moisture. The Kukui Nut Oil is particularly effective right after a shower when the skin is able to easily absorb the oil. 4 oz. ORDER TODAY! • Pure Sea Buckthorn Oil: Sea Buckthorn Oil has nurturing, renewing, and invigorating properties, helping to recondition problematic skin. Rich source of Omega 7 which helps enrich the skin and stabilize its normal cell structure. The oil is in its undiluted and concentrated form and can stain skin, surfaces and clothing. Use caution, spread evenly and dilute if necessary. Great for the hair, skin and nails. 1 oz. ORDER TODAY! Ingredients: 100% Pure, Organic Sea Buckthorn Oil (Hippophae rhamnoides) (99.5%), Tocopherol (Vitamin E) (Antioxidant to preserve the freshness of the oil). • Pure Hemp Seed Oil: Naturally leave your skin feeling soft and healthy. This non-greasy oil easily absorbs into the skin and helps revitalize and condition the skin. Organically grown, virgin and cold pressed and has a pleasant nutty smell. 16 oz. ORDER TODAY! BODY OIL: Hemp Seed Oil, 16 oz. • Pure Almond Oil: The most popular base for massage oils due to its moisturizing feel and absorbability. Great for nurturing and revitalizing any skin type without clogging pores or leaving a greasy after-feel. Helps soften, calm, and recondition skin. Derived from pressed almonds is ideal for the entire body. 16 oz. ORDER TODAY! • Pure Grapseed Oil: Pure Grapeseed Oil contains essential fatty acids, Linoleic, Oleic, Stearic, Palmitic, Myristic and Lauric, offers its emollient properties and is suitable for all skin types. A light oil that helps nurture, tighten and tone the skin without clogging pores or causing breakouts. Cold pressed and food grade. 16 oz. ORDER TODAY! Ingredients: Vitis vinifera (grape) seed oil (99.5%), Tocopherol (Vitamin E) (Antioxidant to preserve the freshness of the oil). • Pure Magnesium Oil: Has highly concentrated source of Magnesium Chloride. It is easily tolerated, convenient, and non-greasy. 4 sprays have approximately 66 mg of elemental magnesium. 8 oz. Spray. ORDER TODAY! • Magnesium Oil Sport Spray:Magnesium Oil from the Zechstein Sea in the Netherlands offers highly concentrated pure Magnesium Chloride that is fast acting, non-greasy and easily absorbed. Helps support joint and muscle health. Blended with Menthol, Arnica Montana Extract, Eucalyptus Oil, and Peppermint Oil to help calm and hydrate the skin for an active lifestyle. It can be used daily and leaves no unpleasant odor. 8 oz. Spray. ORDER TODAY! Ingredients: Magnesium Oil, Arnica Extract, Polysorbate 20, Menthol, Peppermint Essential Oil, Eucalyptus Essential Oil, and L-Carnosine. • Pure Coconut Oil:Pure Organically Grown Virgin Coconut Oil can be used as a moisturizer, bath oil, hair conditioner and shaving lotion—leaving you hydrated for dry and rough skin and scalp without feeling greasy. It is organically grown, extra virgin and food grade. 9 oz. ORDER TODAY! BODY OIL: Pure Almond Oil, 16 oz. BODY OIL: Pure Oil, 16 oz. BODY OIL: Magnesium Oil Sport Spray, 8 oz. BODY OIL: Pure Grapeseed Oil, 16 oz. Organic Body Oil: Soothing relief for sore muscles and joints, simple backache, sprains, tired & sore feet; helps you breathe comfortably if suffering from cold, flu, allergies & hay fever; apply to forehead, temples, neck & behind ears for tension, fatigue and headaches. (Inhalation) Easy to use aromatic inhalant relieves cold and allergy symptoms naturally. Inhaling through a tissue sprinkled with Olbas Oil restores free breathing and provides fast relief when suffering from a cold, flu, or allergies. Helps You Breathe Easily So You Get a Good Night's Sleep. (Massage) Soothes cching and painful muscles. Provides FAST relief as it penetrates deeply to soothe aches and pains from simple backache, arthritis, rheumatism, muscle strains, bruises, sprains and tired sore feet. (Sports & Exercise) Apply Olbas Oil to muscle areas BEFORE jogging, bicycling, or workouts to help relax tight muscles. Apply AFTER sports or exercise and massage gently to help reduce soreness and soothe overworked muscles. Bumps and bruises can be relieved by massaging a few drops on the affected area. (Home & Work) Apply to aching muscles in the arms, legs or back after a hard day on the job or working around the house. Apply to hands, fingers or feet to soothe and relieve aches and pains in the joints caused by arthritis, rheumatism or neuralgia. Massage a drop or two on temples and forehead to help relieve headaches. (Family Use & Travel) Keep some with you whenever you travel- great for those bumps, bruises and insect bites that inevitably come along. Massage on tired, sore feet and legs after prolonged periods of walking, standing or sports activity. • Original Oil Formula: 0.32 oz. ORDER TODAY! • Original Oil Formula: 0.95 oz. ORDER TODAY! • Original Oil Formula: 1.65 oz. ORDER TODAY! Ingredients: Essential Oils of Peppermint, Eucalyptus, Cajeput, Wintergreen, Juniper, and Clove. BODY OIL: Original Formula Oil, 0.32 oz. BODY OIL: Original Formula Oil, 0.95 oz. BODY OIL: Original Formula Oil, 1.65 oz. • Baby Body Care Oil Calendula: Repeated cleansing of the sensitive diaper area can quickly lead to skin irritation and diaper rash. Applied as a regular part of diaper hygiene, the Calendula Baby Oil, a special combination of finest, skin-compatible vegetable oils and skin calming herbal extracts, can lessen this irritation effectively. 6.8 oz. ORDER NOW! Ingredients: Glycine Soja (Soybean) Oil, Prunus Amygdalus Dulcis (Sweet Almond) Oil, Olea Europaea (Olive) Fruit Oil, Simmondsia Chinensis (Jojoba) Seed Oil, Chamomilla Recutita (Matricaria) Extract, Calendula Officinalis Flower Extract, Tocopherol, Parfum (Essential Oils), Limonene, Linalool, Citral, Citronellol. • Body Oil Organic Aloe + Verbena: A combination of certified organic oils to cleanse and massage skin. Recovers skin elasticity and smoothness of every skin type. Free of synthetic preservatives, colors and fragrances. 2.5 oz. ORDER NOW! Ingredients: Glycine Soja (Soybean) Oil, Prunus Amygdalus Dulcis (Sweet Almond) Oil, Olea Europaea (Olive) Oil, Canola Oil, Simmondsia Chinensis (Jojoba) Seed Oil, Aloe Barbadensis Leaf Extract, Tocopherol, Parfum (Essential Oils), Limonene, Linalool, Citral, Geraniol, Citronellol, Coumarin. BODY LOTION: Baby Body Care Oil Calendula, 6.8 oz. BODY LOTION: Body Oil Organic Aloe + Verbena, 6.8 oz. Massage Oil: Lotus Aroma Massage Oils provide the highest concentration of 100% pure essential oils exactly formulated into beautiful blends. They offer unmatched moments of relaxation and sensuality. Non-greasy, non-comedogenic, non-staining. ORDER TODAY! • Massage Oil Bergamot & Ylang Ylang: Bergamot - balancing, relaxing and anti-bacterial. Ylang Ylang - aromatic essential oil, balances, tones and soothes. All skin types, including highly sensitive. 6 oz. ORDER TODAY! Ingredients: Prunus Amygdalus Dulcis (Sweet Almond) Oil, Helianthus Annuus (Sunflower) Seed Oil, Vitis Vinifera (Grape) Seed Oil, Cananga Odorata (Ylang Ylang) Flower Oil, Citrus Aurantium Bergamia (Bergamot) Fruit Oil, Citrus Aurantium Dulcis (Orange) Oil, Pogostemon Cablin (Patchouli) Oil, Juniperus Ashei (Cedarwood) Oil, Tocopherol. • Massage Oil Lavandin Grosso & Grapefruit: Lavindin Grosso - antiseptic, cleanses, balances, soothes and heals. Grapefruit - astringent, clarifying and uplifting. All skin types, including highly sensitive. 6 oz. ORDER TODAY! Ingredients: Prunus Amygdalus Dulcis (Sweet Almond Oil, Helianthus Annuus (Sunflower) Seed Oil, Vitis Vinifera (Grape) Seed Oil, Citrus Grandis (Grapefruit) Peel Oil, Citrus Aurantium Bergamia (Bergamot) Fruit Oil, Lavandula Hygrida (Lavandin) Oil, Cupressus Sempervirens Oil, Tocopheol(t). • Massage Oil Peppermint & Eucalyptus Globulus: Peppermint - refreshes, clarifies and cleanses. Eucalyptus Globulus - refreshing, expectorant, anti-microbial and antiseptic. All skin types, including highly sensitive. 6 oz. ORDER TODAY! Ingredients: Prunus Amygdalus Dulcis (Sweet Almond Oil), Helianthus Annus (Sunflower) Seed Oil, Vinifera (Grape) Seed Oil Eucalptus Globulus Oil, Mentha Piperita (Peppermint Oil, Mertha Virdis (Spearmint) Leaf Oil, Tocopherol. • Massage Oil Rose & Indian Geranium: Rose - softens, soothes and provides natural fragrance. Indian Geranium - balancing, rejuvenatin, promotes circulation. All skin types, including highly sensitive. 6 oz. ORDER TODAY! Ingredients: Prunus Amygdalus Dulcis (Sweet Almond) Oil, Helianthus Annuus (Sunflower) Seed Oil, Vitis Vinifera (Grape) Seed Oil, Tocopherol(t), Natural Fragrance (Botanical EXtracts & Essential) Oils). • Massage Oil Sweet Orange & Mandarin: Sweet Orange - aromatic essential oil, soothes, calms and refreshes. Mandarin - refreshing, cleansing, softens and improves texture. All skin types, including highly sensitive. 6 oz. ORDER TODAY! Ingredients: Prunus Amygdalus Dulcis (Sweet Almond) Oil, Helianthus Annuus (Sunflower) Seed Oil, Vitis Vinifera (Grape) Seed Oil, Lemon (Citrus Medica Limonum) Oil, Citrus Aurantium Bergamia (Bergamot) Fruit Oil, Citrus Aurantium Dulcis (Orange) Oil, Citrus Grandis (Grapefruit) Peel Oil, Citrus Nobilis (Mandarin Orange) Peel Oil, Tocopherol, Natural Fragrance (Botanical Extracts & Essential Oils). • Massage Oil Unscented: Easy glide for extended ease of massage. Leaves skin fresh and moisturized without feeling greasy. All skin types, including highly sensitive. 6 oz. ORDER TODAY! Ingredients: Prunus Amygdalus Dulcis (Sweet Almond) Oil, Helianthus Annuus (Sunflower) Seed Oil, Vitis Vinifera (Grape) Seed Oil Tocopherol. MASSAGE OIL: Massage Oil, 6 oz. Treat yourself to the wonders of a massage with pure oils that penetrate deep into the skin. You'll love the warm feeling as your muscles just melt under these 100% pure sensations. Unique blend of moisturizing vegetable oils, generously scented with 100% pure essential oils will give you softer feeling skin and soothe your soul. Natural vitamin E is added to preserve freshness. • Body Oil Clearing Eucalyptus: Like breathing in the fresh, purified-by-nature air of a shady grove of eucalyptus trees after a cleansing rain shower, Aura Clearing Eucalyptus oil will satisfy the senses, shield the body and excite the spirit. Smooth over your body to deeply nurture your skin. Sensual and warming, this unique massage blend combines Cinnamon and Ylang Ylang essential oils and skin-nourishing Jojoba and Coconut oils with natural, botanical thickeners. Great as a bath oil too. 4 oz. ORDER NOW! Ingredients: Sweet Almond Oil, Coconut Oil, Grapeseed Oil, Apricot Kernal Oil, Avocado Oil, Aloe Vera Oil, Vitamin E, Sweet Almond Glycerides. • Body Oil Refreshing Peppermint: Caress your body with the minty-menthol benefits of the Refreshing Peppermint. Refreshing Peppermint arouses a garden bed of Mint, sprinkled with cool dew. Natural skincare with the inspiring fragrance of real Peppermint, this is deeply invigorating for a sore and tired body. Create an at-home spa treatment that invigorates the senses, refreshes the body and revives the spirit. Great as a bath oil too. 4 oz. ORDER NOW! • Body Oil Relaxing Lavender: Blends the hydrating benefits of botanically derived vegetable oils with 100% pure Lavender essential oil and vitamin E to create complete sensual relaxation and revitalization. Light and thoroughly suited to glide smoothly over skin, each oil soothes muscles as it moisturizes and relaxes to create natural softness. Give in to the indulgence, and experience a fresh well-being. 4 oz./ 8 oz. ORDER NOW! • Body Oil Tranquil Chamomile: Tranquil Chamomile produces the comforts of a peaceful home on a fresh spring day. A crafted blend of 100% pure plant-derived essential oils of Roman Chamomile Lavender Patchouli will nurture your skin. Helps provide a smooth, silky glide during a comforting, calming, and sensualizing massage. 4 oz. ORDER NOW! Ingredients:Vitis Vinifera (Grape) Seed Oil, Prunus Armeniaca (Apricot) Kernel Oil, Prunus Amygdalus Dulcis (Sweet Almond) Oil, Lavandula Angustifolia (Lavender) Oil, Abies Balsamea (Balsam Fir) Needle Oil, Pogostemon Cablin (Patchouli) Oil, Cymbopogon Martinii (Palmarosa) Oil, Pelargonium Graveolens (Geranium) Oil, Chamaemelum Nobile (Roman Chamomile) Oil, Tocopherol (Vitamin E). • Body Oil Warming Balsam Fir: Warming Balsam Fir generates a warm winter cabin, nestled in a gorgeous green forest. A crafted blend of 100% pure plant-derived Pure Essential Oils of Balsam Fir Eucalyptus Juniper Berry will nurture your skin> Helps provide a smooth, silky glide for an uplifting, refreshing, and reconditioning massage experience. 4 oz. • Body Oil Comforting Geranium (Heart Song): Combined with Almond, Apricot, Grape seed and Vitamin E oils, carefully blended to offer healthy skin nutrition and smooth silky glide during massage. This blend of Lavender, Rosewood and Geranium oils and Rose Absolute promotes feelings of kindness and affection. Enjoy a softening, uplifting, calming, and sensualizing experience. Sweet rose fragrance. 4 oz. ORDER NOW! Ingredients: Vitis Vinifera (Grape) Seed Oil, Prunus Armeniaca (Apricot) Kernel Oil, Prunus Amygdalus Dulcis (Sweet Almond) Oil, Lavandula Angustifolia (Lavender) Oil, Coriandrum Sativum (Coriander) Seed Oil, Pelargonium Graveolens (Geranium) Oil, Rosa Damascena (Rose) Absolute, Tocopherol (Vitamin E). • Body Oil Euphoric Ylang Ylang (Euphoria): Made with Almond, Apricot, Grape seed and Vitamin E oils, to deliver healthy skin nutrition and smooth, silky glide during massage. An essential oil blend of Bergamot BF, Amyris, Ginger and Ylang Ylang III, is blended to create a sense of well-being and good cheer. Enjoy an elevating, nourishing, and sensualizing experience. Has a rich floral and spicy wood fragrance. 4 oz. ORDER NOW! Ingredients: Vitis Vinifera (Grape) Seed Oil, Prunus Armeniaca (Apricot) Kernel Oil, Prunus Amygdalus Dulcis (Sweet Almond) Oil, Citrus Bergamia (Bergamot) Bergaptene-free Oil, Amyris Balsamifera (Amyris) Oil, Zingiber Officinale (Ginger) Oil, Cananga Odorata (Ylang Ylang) Oil, D-alpha-tocopherol (Vitamin E)..
• Body Oil Energizing Lemon (Energize): Energizing Lemon evokes feelings of pep in the step and sense of familiar happiness found on a warm summer day. Rejuvenate your senses with this blend of invigorating Peppermint, zesty Lemon, clarifying Rosemary, & refreshing Orange. Create an at-home spa treatment that energizes the senses, refreshes the body and revitalizes the spirit. 4 oz. ORDER NOW! Ingredients: Vitis Vinifera (Grape) Seed Oil, Prunus Armeniaca (Apricot) Kernel Oil, Prunus Amygdalus Dulcis (Sweet Almond) Oil, Citrus x Limon (Lemon) Oil, Mentha x Piperita (Peppermint) Oil, Rosmarinus Officinalis (Rosemary) Oil, Citrus Sinensis (Sweet Orange) Oil, Tocopherol (Vitamin E). • Body Oil Relaxing Sweet Orange (Relaxation): Relaxing Sweet Orange produces a calming atmosphere to relax and reconnect. A crafted blend of 100% pure plant-derived oils of Sweet Orange, Ylang Ylang and Roman Chamomile will nurture your skin and provide a smooth, silky glide during massage. Create an at-home spa treatment that refreshes the senses, calms the body and inspires the spirit. 4 oz. ORDER NOW! Ingredients: Vitis Vinifera (Grape) Seed Oil, Prunus Armeniaca (Apricot) Kernel Oil, Prunus Amygdalus Dulcis (Sweet Almond) Oil, Citrus Sinensis (Sweet Orange) Oil, Citrus Reticulata (Tangerine) Oil, Citrus x Limon (Lemon) Oil, Citrus Bergamia (Bergamot) Bergaptene-free Oil, Lavandula Angustifolia (Lavender) Oil, Chamaemelum Nobile (Roman Chamomile) Oil, Santalum Spicatum (Sandalwood) Oil, Cananga Odorata (Ylang Ylang) Oil, Tocopherol (Vitamin E). MASSAGE OIL: Aromatherapy Body Oil, 4 oz. MASSAGE OIL: Aromatherapy Body Oil: Relaxing Lavender, 8 oz. Skin Care Oil: The special blends of pure essential oils and all-natural vegetable oils are true multipurpose oils—perfectly suited for massage, body care and baths. Softening, Nourishing, Protecting, Nurturing. A natural source of skin-nourishing fatty acids and lipids. • Skin Care Oil Jojoba: Jojoba oil contains distinctive liquid waxes and fatty acids that nurture the skin. The oil closely resembles the skin's own natural emollients. It is excellent combined with other skin care oils, adding balance and reinforcing the benefits provided. 4 oz. ORDER TODAY! • Skin Care Oil Grapeseed: Light, absorbent Grape seed oil is extracted from the seeds of wine grapes and contains an excellent balance of skin-supporting compounds, including Oleic, Linoleic, Palmitic and Stearic fatty acids. Grape seed oil, an excellent skin toner, restores balance and firmness to combination and oily skin. 16 oz. ORDER TODAY! • Skin Care Oil Sweet Almond: Sweet Almond oil has a rich, skin-nourishing consistency that provides a wonderful glide during massage. It is excellent for bath and after-shower applications, and general skin care. Add one to three drops of essential oil to each teaspoon of sweet almond oil to create your own aromatherapy bath, moisturizing oil or premium massage oil.16 oz. ORDER TODAY! MASSAGE OIL: Skin Care Oil: Jojoba, 4 oz. MASSAGE OIL: Skin Care Oil: Grapeseed, 16 oz. MASSAGE OIL: Skin Care Oil: Sweet Almond, 16 oz. Skin Care Oil Organic: The special blends of pure essential oils and all-natural vegetable oils are true multipurpose oils—perfectly suited for massage, body care and baths. Softening, Nourishing, Protecting, Nurturing. A natural source of skin-nourishing fatty acids and lipids. • Skin Care Oil Organic Rejuvenating Argan: Argan oil contains high levels of skin-rejuvenating essential fatty acids and is ideal for naturally brightening your skinr. Apply as general body oil to soften and invigorate dry skin. 1 oz. ORDER TODAY! Ingredients: Organic Argan (Argania Spinosa) Kernel Oil. • Skin Care Oil Organic Moisturizing Baobab: Baobab is a highly-esteemed tree cherished for its nourishing, skin-protecting oil which has a rich, slippery texture. For intense treatment of dry skin, Baobab will leave your skin radiant and shielded from the elements. Use as body or skin care oil to soften and hydrate dry skin. 1 oz. ORDER TODAY! Ingredients: Organic Baobab (Adansonia Digitata) Seed Oil. • Skin Care Oil Organic Jojoba: Softening, protecting and balancing. A natural source of skin-balancing plant oil. 4 oz. ORDER TODAY! Ingredients: Organic Simmondsia Chinensis (Jojoba) Oil..
• Skin Care Oil Organic Restoring Rosehip: Rosehip Oil contains pure Retinol (Vitamin A), known for replenishing and reconditioning mature or sun-damaged skin. Made with essential fatty acids and Linoleic acids to help condition and restore suppleness. Rosehip used as a general body oil to soften and rejuvenate skin. 1 oz. ORDER TODAY! • Skin Care Oil Organic Sesame: Sesame oil is mainly suited to massage applications. 4 oz. ORDER TODAY! Ingredients: Organic Sesamum Indicum (Sesame) Oil..
• Skin Care Oil Organic Sweet Almond: A natural source of skin-nourishing fatty acids and lipids, Sweet Almond Oil has a rich, enriching consistency that offers a nice glide during massage. It is excellent for bath and after-shower applications, and especially appropriate for dry-skin care. 4 oz. ORDER TODAY! Ingredients: Organic Prunus Amygdalus Dulcis (Sweet Almond) Oil. .
• Skin Care Oil Organic Tamanu: Emerald green Tamanu oil stimulates healthy skin. Tamanu oil contains powerful antioxidant essential fatty acids and is vital for supporting the vibrancy of the skin. Use as a body or skin care oil to relax and nourish dry skin. The fragrant, nutty aroma of Tamanu oil has been used as a skin care oil for centuries by South Pacific natives. 1 oz. ORDER TODAY! Ingredients: Organic Tamanu (Calophyllum Inophyllum) Seed Oil. BODY OIL: Skin Care Oil Organic, 5 oz. BODY OIL: Skin Care Oil Organic: Jojoba, 4 oz. BODY OIL: Skin Care Oil Organic: Tamanu, 1 oz. BODY OIL: Skin Care Oil Organic: Sweet Almond, 4 oz. BODY OIL: Skin Care Oil Organic: Rosehip, 1 oz. BODY OIL: Skin Care Oil Organic: Sesame, 4 oz. Bath & Body Oil Nut Free Lite/Unscented: A rich, Nut Free Lite Oil blend helps hydrate and allows for all different types of body work without using nut oils. • Bath & Body Oil Nut Free Lite/Unscented: 4 oz. ORDER NOW! • Bath & Body Oil Nut Free Lite/Unscented: 8 oz. ORDER NOW! Ingredients: High Oleic, Expeller Pressed Sunflower Seed Oil (Helianthus annuus), Expeller Pressed Jojoba Oil (Simmondsia chinensis), Rice Bran Oil (Oryza sativa), Grapeseed Oil (Vitis viniferia), Tocopherol (Natural Vitamin E). Bath & Body Oil Lavender (Calming): Lavender is intensely soothing blend. Made with an extract of pure St. John's Wort, Green Tea Leaf and the essential oil of Lavender to help comfort the body and mind at the end of a stress filled day. • Bath & Body Oil Lavender (Calming): 4 oz. ORDER NOW! • Bath & Body Oil Lavender (Calming): 8 oz. ORDER NOW! Ingredients: Expeller Pressed Sweet Almond (Prunus amygdalus dulcis) Oil, High Oleic Expeller Pressed Safflower (Carthamus tinctorius) Oil, High Oleic Expeller Pressed Sunflower Seed (Helianthus annuus) Oil, Grapeseed (Vitis viniferia) Oil, Expeller Pressed Apricot Kernel (Prunus armeniaca) Oil, Expeller Pressed Avocado (Persea gratissima) Oil, Tocopherol (Natural Vitamin E), Lavender (Lavandula angustifolia) Essential Oil, Argan (Argania spinosa) Nut Oil, Seabuckthorn (Hippophae rhamnoides) Fruit Oil, Infusion of High Oleic Expeller Pressed Sunflower Seed (Helianthus annuus) Oil, Green Tea (Camellia sinensis) Leaf and St. John's Wort (Hypericum perforatum) Leaf & Flower. Bath & Body Oil Peppermint Rosemary (Muscle Comfort): Peppermint Rosemary Body Oil is a natural muscle pain reliever. Made with Arnica, essential oil of Eucalyptus and Peppermint for a calming way to alleviate body, back and muscle soreness. • Bath & Body Oil Peppermint Rosemary (Muscle Comfort): 4 oz. ORDER NOW! • Bath & Body Oil Peppermint Rosemary (Muscle Comfort): 8 oz. ORDER NOW! Ingredients: Expeller Pressed Sweet Almond Oil (Prunus amygdalus dulcis), Expeller Pressed Safflower Oil (Carthamus tinctorius), High Oleic, Expeller Pressed Sunflower Seed Oil (Helianthus annuus), Grapeseed Oil (Vitis viniferia), Expeller Pressed Apricot Kernel Oil (Prunus armeniaca), Expeller Pressed Avocado Oil (Persea gratissima), Clove Bud Essential Oil (Eugenia Caryophyllus), Eucalyptus Essential Oil (Eucalyptus globulus), Peppermint Essential Oil (Mentha piperata), Camphor Essential Oil (Cinnamomum camphora), Fennel Essential Oil (Foeniculum vulgare), Geranium Essential Oil (Pelargonium graveolens), Sweet Orange Essential Oil (Citrus aurantium dulcis), Ginger Essential Oil (Zingiber officinale), Rosemary Essential Oil (Rosmarius officinalis), Infusion of Arnica Flower (Arnica montana), Juniper Berry (Juniperus communis), Thyme Leaf (Thymus vulgaris), Natural Vit. E (Tocopherol). • Bath & Body Oil Tuscan Bouquet (Rest & Relax): Tuscan Bouquet is blended with Lavender, Chamomile, Bergamot, Sandalwood, Vanilla and Rose essential oils that help ease the stress and tension of daily life. • Bath & Body Oil Tuscan Bouquet (Rest & Relax): 4 oz. ORDER NOW! • Bath & Body Oil Tuscan Bouquet (Rest & Relax): 8 oz. ORDER NOW! Ingredients: Expeller Pressed Sweet Almond (Prunus amygdalus dulcis) Oil, High Oleic Expeller Pressed Safflower (Carthamus tinctorius) Oil, High Oleic Expeller Pressed Sunflower Seed (Helianthus annuus) Oil, Grapeseed (Vitis viniferia) Oil, Expeller Pressed Apricot Kernel (Prunus armeniaca) Oil, Expeller Pressed Avocado (Persea gratissima) Oil, Tocopherol (Natural Vitamin E), Essential Oils of Lavender (Lavandula angustifolia), Chamomile (Anthemis nobilis), Bergamot (Citrus aurantium bergamia), Sandalwood (Santalum album), Vanilla (Planifolia) and White Rose (Rosa centifolia), Argan (Argania spinosa) Nut Oil, Seabuckthorn (Hippophae rhamnoides) Fruit Oil, Infusion of High Oleic Expeller Pressed Sunflower Seed (Helianthus annuus) Oil, Kava Kava Root (Piper methysticom), Valerian Root (Valeriana officinalis) and Yarrow Flower (Achillea millefolium). Bath & Body Oil Sandalwood (Rich & Exotic): The sensual Sandalwood Body Oil is made with a pure extract of Ginseng and the romantic fragrance of Sandalwood to rejuvenate your body and revitalize your spirit. • Bath & Body Oil Sandalwood (Rich & Exotic): 4 oz. ORDER NOW! • Bath & Body Oil Sandalwood (Rich & Exotic): 8 oz. ORDER NOW! Ingredients: Expeller Pressed Sweet Almond (Prunus amygdalus dulcis) Oil, High Oleic Expeller Pressed Safflower (Carthamus tinctorius) Oil, High Oleic Expeller Pressed Sunflower Seed (Helianthus annuus) Oil, Grapeseed (Vitis viniferia) Oil, Expeller Pressed Apricot Kernel (Prunus armeniaca) Oil, Expeller Pressed Avocado (Persea gratissima) Oil, Sandalwood (Santalum album) Essential Oil, Tocopherol (Natural Vitamin E), Natural Fragrance, Infusion of Ginseng (Panax ginseng) Root, Marshmallow (Althaea officinalis) Root, Shatavari (Asparagas racemosus) Root. BODY LOTION: Bath & Body Oil, 4 oz. Karit' Oil: Karit Oil is a liquid Shea Butter with a high amount of natural functional lipids.Helps hydrate and smooth dry skin. It is a luxuriant, nurturing oil that has outstanding soothing properties without leaving a heavy greasy film after use. Karit oil is suggested for daily use for both skin and hair applications. Makes an outstanding massage oil. • Karit' Oil Unscented: 6 oz. ORDER NOW! • Karit' Oil Vanilla: 6 oz. ORDER NOW! • Karit' Oil Lavender: 6 oz. ORDER NOW! • Karit' Oil Coconut: 6 oz. ORDER NOW! Ingredients: Butyrospermum parkii (Shea Butter) oil, Tocopherol acetate (vitamin E). BODY OIL: Karit' Oil, 6 oz. Good Clean Love Oils make touching, kissing and smelling each other better. Our oil formulas leave your skin feeling as good as it smells. They are enormously nurturing to the skin, with the ability to soften, smooth and heal the skin. All Good Clean Love oils are safe to use anywhere on the body. 100% vegan, edible. • Love Oil Origins:This is a love oil of true center, the oil to use when you are already in the mood. Simultaneously relaxing and warming, the Origins blend uplifts emotional blocks to a healthy sexuality and reunites you to your sensual nature. This essential oil blend brings you to your essential self and a quiet acceptance of life as it is. 4 oz. ORDER NOW! • Love Oil Caribbean Rose: Smoky earthy base brimming with luxurious Rose. Deep tropical forests, moist earth satisfying the senses, rejoining you to the ground, to life itself. Every sweet Rose ever smelled, overflow the senses. This essential oil blend helps to open the heart, fostering self-acceptance, the heart opens wide to welcome the lover. 4 oz. ORDER NOW! Ingredients: Apricot Kernel Oil, Organic Jojoba Seed Oil, Tocopherol, Essential Oil Blend. • Love Oil Indian Spice: This love oil experience is both pungent and spicy creating a sweet balanced heat. These essential oils were once more precious than gold, so dominant were their aphrodisiac qualities. Indian Spice blends fragrances which are known for their ability to create an ecstatic relief of stress and anxiety, as well as offering a new appetite for love and life. 4 oz. ORDER NOW! Ingredients: Organic Jojoba Seed Oil, Apricot Kernel Oil, Tocopherol, Essential Oil Blend. BODY OIL: Love Oils, 4 oz. • Coconut Oil Lavender: Let the refreshing aroma of Lavender elevate your spirit while soothing your skin. Use as a massage oil, moisturizer, or hair treatment. 12 oz. ORDER NOW! • Ayurvedic Massage Oil Calming: Calming Massage Oil is formulated with oils rich in nutrients, such as Rice Bran (Vitamin E) and Carrot seed (Vitamin A) to nourish your skin. Sandalwood (for a natural fragrance), Sesame oil, Almond oil along with Wheat germ oil provide the rich, smooth texture to a massage oil that is sensual, relaxing, and nourishing. Used for Body massage, to help reduce stress. Gently massage over body until evenly spread. For external use only. 4 oz. ORDER NOW! Ingredients: Sesame oil, Sweet Almond oil, Rice Bran oil, Wheat Germ oil, Jojoba, Essential oils of Sandalwood, Geranium, Coriander, Carrot Seed, Jasmine, Frankincense, Petitgrain, Lemongrass. MASSAGE OIL: Ayurvedic Massage Oil Calming, 4 oz. • Organic Calendula Oil: Hydrating, cooling, and calming. Calendula oil helps treat with dry and damaged skin, skin inflammations, rashes, diaper irritations, and other skin disorders. Suitable as a wonderful baby's oil and is remarkable for those with sensitive skin. 4 oz. ORDER TODAY! Ingredients: Olive Oil Extract of Organic Calendula . • Comfrey Oil: Traditionally used for general wound healing, treatment of sprains, bruises and swellings and for skin cell production. Not to be used on dirty or open wounds. A natural skin care oil for people and pets. 4 oz. ORDER TODAY! Ingredients: Olive Oil Extract of Organic Comfrey Whole Plant. • Massage Oil Premium: Premium Massage Oil is made with of rich oils, Ayurvedic herbs and wonderful plant and flower essences to help nourish and recondition skin to a silky smooth freshness. Cools and calms the nervous system, and therapeutically nurturing muscle tissue. Aroma therapeutic properties work to ease everyday tension. Can be used as a massage and body oil, in the bath and after the bath. 8 oz. ORDER TODAY! BODY OIL: Balancing Massage Oil, 8 oz. BODY OIL: Premium Massage Oil, 8 oz. This splendid, quick-dry spray leaves your skin smooth, soft and nurtured. The Apricot kernel oil and Vitamin E is blended to hydrate your skin and retain moisture. • Body Oil Mist Coconut Milk & Honey: Delight in the delicate, nutty scent of Coconut milk with a touch of Honey and find a serene spot to pause and unwind. 6 oz. ORDER NOW! Ingredients: Water, Prunus Armeniaca (Apricot) Kernel Oil, Glyceryl Stearate, Butyrospermum Parkii (Shea Butter), Theobroma Cacao (Cocoa) Seed Butter, Cetearyl Alcohol, Fragrance, Sodium Stearoyl Lactylate, Glycerin, Cocos Nucifera (Coconut) Oil, Persea Gratissima (Avocado) Oil, Phenoxyethanol, Simmondsia Chinensis (Jojoba) Seed Oil, Orbignya Oleifera Seed Oil, Allantoin, Calendula Officinalis Flower Extract, Chamomilla Recutita (Matricaria) Flower Extract, Tilia Cordata Flower Extract, Centaurea Cyanus Flower Extract, Anthemis Nobilis Flower Extract, Hypericum Perforatum Extract, Benzoic Acid, Panthenol, Tocopheryl Acetate, Dehydroacetic Acid, Aloe Barbadensis Leaf Juice, Sodium Hydroxide, Citric Acid. • Body Oil Mist Grapefruit: Citrus fragrance can help relieve worry and sadness. Say farewell to the mid-afternoon boredom with the stimulating and pleasant aroma of Grapefruit. 6 oz. ORDER NOW! Ingredients: Water, Butyrospermum Parkii (Shea Butter), Glyceryl Stearate, Stearic Acid, Cetearyl Alcohol, Macadamia Ternifolia Seed Oil, Persea Gratissima (Avocado) Oil, Theobroma Cacao (Cocoa) Seed Butter, Fragrance, Cetyl Alcohol, Prunus Armeniaca (Apricot) Kernel Oil, Stearyl Alcohol, Caryocar Brasiliense (Pequi) Fruit Oil, Orbignya Oleifera Seed Oil, Cocos Nucifera (Coconut) Oil, Phenoxyethanol, Sodium Behenoyl Lactylate, Beeswax, Allantoin, Carthamus Tinctorius (Safflower) Seed Oil, Aloe Barbadensis Leaf Extract, Glycerin, Calendula Officinalis Flower Extract, Chamomilla Recutita (Matricaria) Flower Extract, Tilia Cordata Flower Extract, Centaurea Cyanus Flower Extract, Anthemis Nobilis Flower Extract, Hypericum Perforatum Extract, Panthenol, Tocopheryl Acetate. • Body Oil Mist Lavender: Luxuroius fragrance of Lavender relaxes and uplifts—just great when you want to unwind. It is purifying and revitalizing. 6 oz. ORDER NOW! Ingredients: Water/Aqua/Eau, Butyrospermum Parkii (Shea Butter), Glyceryl Stearate, Stearic Acid, Cetearyl Alcohol, Persea Gratissima (Avocado) Oil, Theobroma Cacao (Cocoa) Seed Butter, Fragrance/Parfum, Macadamia Ternifolia Seed Oil, Cetyl Alcohol, Stearyl Alcohol, Prunus Armeniaca (Apricot) Kernel Oil, Simmondsia Chinensis (Jojoba) Seed Oil, Orbignya Oleifera Seed Oil, Cocos Nucifera (Coconut) Oil, Phenoxyethanol, Sodium Behenoyl Lactylate, Beeswax/Cire Dabeille, Lavandula Angustifolia (Lavender) Oil, Anthimis Nobilis flower extract, Allantoin, Carthamus Tinctorius (Safflower) Seed Oil, Aloe Barbadensis Leaf Extract, Glycerin, Calendula Officinalis Flower Extract, Chamomilla Recutita (Matricaria) flower extract. Body Oil: These intense blends of luxurious, natural oils have been long considered for anti-aging and nurturing traits. Pour a small amount into a bath or smooth some on immediately after bathing — your skin will thank you! • Body Oil Lemon: Allow the Citrus, clean fragrance of Lemon bring summer to your senses any time of year. 4 oz. ORDER NOW! • Body Oil Pomegranate & Acai: The invigorating Pomegranate and Acai fragrance is so fresh and fruity you might desire a smoothie beyond breakfast. 11 oz. ORDER NOW! Ingredients: Water (Aqua), Prunus Armeniaca (Apricot) Kernel Oil, Glyceryl Stearate, Butyrospermum Parkii (Shea Butter), Theobroma Cacao (Cocoa) Seed Butter, Cetearyl Alcohol, Sodium Stearoyl Lactylate, Cocos Nucifera (Coconut) Oil, Persea Gratissima (Avocado) Oil, Glycerin, Phenoxyethanol, Allantoin, Orbignya Oleifera Seed Oil, Simmondsia Chinensis (Jojoba) Seed Oil, Fragrance, Prunus Serotina (Wild Cherry) Bark Extract, Calendula Officinalis Flower Extract, Chamomilla Recutita (Matricaria) Flower Extract, Tilia Cordata Flower Extract, Centaurea Cyanus Flower Extract, Anthemis Nobilis Flower Extract, Hypericum Perforatum Extract, Panthenol, Tocopheryl Acetate, C18-22 Hydroxyalkyl Hydroxypropyl Guar, Aloe Barbadensis Leaf Juice, Tropolone, Sodium Hydroxide, Citric Acid. BODY LOTION: Body Oil Mist, 6 oz. BODY LOTION: Body Oil, 4 oz. Infused Body Oil: Pure cold-pressed almond oil is combined with natural source vitamin E oil. High quality essential oils and organic herbs scent each oil with distinctive, natural aromas. Each attractive 4 oz. glass bottle contains effective homegrown herbs and flowers, Made to be applied directly as a massage oil, an after-bath treatment, or simply as a restorative pause after a long day. • Infused Body Oil Meditate: (Formerly Garden Flowers) This blend of centering Tulsi, clearing White Sage, enriching Neroli and elegant Rose creates a body oil perfect for welcoming focus and clarity. 4 oz. ORDER TODAY! Ingredients: Almond oil infused with White Sage and Angelica, Vitamin E, Rose, Neroli and Holy Basil Essential Oils, Angelica Flower Essence. • Infused Body Oil Active: (Formerly Activ-8 Muscle Rub) Revitalizing and warming herbs make this a perfect massage oil for anyone who loves exercise or wants excellent muscle and joins health. This oil would be well placed in the gym bag, medicine cabinet or massage table. . 4 oz. ORDER TODAY! Ingredients: Sunflower Oil, Grape Seed Oil, St. John's Wort, Arnica, Comfrey, Willow Bark, Juniper, Prickly Ash, Vitamin E, Juniper And Ginger Essential Oils, Aloe Flower Essence. • Infused Body Oil Detoxify: Deeply infused with aromatic and potent organic botanicals, this luxuriant body oil may be used for massage, skin moisturizing, or in the bath. 4 oz. ORDER TODAY! Ingredients: Sunflower Oil, Grape Seed Oil, Violets, Burdock, Figwort, Poke Root, Vitamin E, Orris, Blue Yarrow And Orange Essential Oils, Black-Eyed Susan Flower Essence. • Infused Body Oil Love: (Formerly Sandalwood Ginseng) Sensual and grounding Sandalwood is lifted with elegant Rose, and warmed by Cinnamon. A body oil for creating loving connection and sweet memories. 4 oz. ORDER TODAY! Ingredients: Sunflower Oil, Grape Seed Oil, Hawthorn, Wild Carrot Seed, Sandalwood, Rose and Cinnamon Essential Oils, Red Rose Flower Essence. • Infused Body Oil Relax: (Formerly Lavender Rose Geranium) Soothing Lavender and Rose-scented Geranium infuse your skin care with the beauty of garden flowers. A body oil for comforting into gratitude. Great as a massage oil and calming sunburn. 4 oz. ORDER TODAY! Ingredients: Almond oil, Calendula, Arborvitae, Vitamin E, Lavender and Rose Geranium essential oils, Lavender flower essence. BODY OIL: Herb Infused Body Oil, 4 oz. • Angel Baby Oil: Hospital recommended, Angel Baby Oil helps mama's magic touch softer and soothing to Made with absorbable Grape Seed oil and hydrating organic Calendula. Ideal for infant massage, cradle cap or dry skin. No artificial preservatives or fragrance, just pure natural baby oil for your pure natural baby. 4 oz. ORDER TODAY! • Natural Stretch Oil: Natural Stretch Oil is made with organic Calendula and organic Jojoba oil, organic Borage oil and Neroli pure essential oil to help nurture and promote skin's natural elasticity. Natural Stretch Oil is light and easily absorbable, and the 100% natural, delicate scent won't aggravate morning sickness. Natural Stretch Oil blend helps alleviate the stomach itch and emerging stretch marks. Great as a bath oil for perineal massage to help avoid tears and episiotomy during childbirth. No parabens or artificial fragrances. 4 oz. ORDER TODAY! Ingredients: Vitis Vinifera (Grape) Seed Oil, Simmondsia Chinensis (Organic Jojoba) Seed Oil, Borago Officinalis (Organic Borage) Seed Oil, Calendula Officinalis (Organic Calendula) Flower Extract, Citrus Sinensis (Organic Sweet Orange), Citrus Aurantium Dulsis (Orange) Oil. BODY OIL: Angel Baby Oil, 4 oz. BODY OIL: Natural Stretch Oil, 4 oz. • Baby Oil Calming Lavender: Great for soothing and smoothing, little twig baby oil: relax combines a calming lemon-lavender essence with essential oils for silky-soft skin. Your loving hands provide the gentle nurturing; our organic formula provides healthy nutrients. Made with Organic Ingredients, Pediatrician Tested,, pH balanced for Sensitive Skin, Mineral Oil Free. Non-irritating, Hypoallergenic, No Synthetic Fragrances, No Artificial Colors, Leaves Skin Soft. 8.5 oz. ORDER TODAY! Ingredients:Helianthus annus (Sunflower) seed oil, Carthamus Tinctorius (Safflower) Seed Oil, Simmondsia Chinensis (Jojoba Seed Oil), Lavendula Officinals (Lavender), Citrus Limonum (Lemon), Melaleuca Alternifola (Tea Tree), Tocopheryl acetate (Vitamin E acetate), Tocopherol. BABY CARE/CREAMS LOTIONS: Baby Oil: Calming Lavender, 4 oz. • Mother's Special Blend Skin Toning Oil: Mother's Special Blend Skin Toning Oil helps soften, condition, and calm your skin and prevent stretch marks naturally by nurturing and conditioning your skin while it expands and contracts – before, during and after pregnancy. Mother's Special Blend is a safe formula for you and your baby. There are no chemicals, perfumes, emulsifiers, dyes, or preservatives. It is safe for all over body use. Enjoy the natural fragrance of Cocoa Butter. 8 oz. ORDER TODAY! BODY LOTION: Mother's Special Blend Skin Toning Oil, 8 oz. • Baby Bee Nourishing Baby Oil: Gently hydrate your baby's skin with this Apricot and Grape Seed Oil-based formula. Enriched with antioxidants and vitamins to moisturize baby's precious skin. Works for moms too! Safe, effective and natural. Pediatrician-tested and hypo-allergenic. 4 oz. ORDER NOW! • Mama Bee Nourishing Body Oil: Treat your skin supple and soft with this light-weight, all natural body oil. Sweet Almond and Lemon oils and Vitamin E restore skin throughout your pregnancy. No phthalates, parabens, petrolatum, or SLS. 4 oz. ORDER NOW! Ingredients: Prunus Amygdalus Dulcis (Sweet Almond) Oil, Citrus Medica Limonum (Lemon) Peel Oil, Triticum Vulgare (Wheat) Germ Oil, Tocopherol, Rosmarinus Officinalis (Rosemary) Leaf Extract, Glycine Soja (Soybean) Oil, Canola Oil..
• Lemon & Vitamin E Body & Bath Oil: Tenderly nurture your skin with our 100% natural body oil with its blend of invigorating Lemon Oil, Vitamin E and Sweet Almond Oil. Perfectly balanced to smooth and soften, the bath oil makes every day a little brighter! All natural baby oil, made for adults. 4 oz. ORDER TODAY! Ingredients: Prunus Amygdalus Dulcis (Sweet Almond) Oil, Citrus Medica Limonum (Lemon) Peel Oil, Triticum Vulgare (Wheat) Germ Oil, Tocopherol, Rosmarinus Officinalis (Rosemary) Leaf Extract, Glycine Soja (Soybean) Oil, Canola Oil (Huile De Colza), Citronellol, Limonene. BODY LOTION: Baby Bee Nourishing Baby Oil, 4 oz. Using this site means you accept its terms/policies.